Dr Emily Grossman is an internationally acclaimed science writer, public speaker and TV personality. 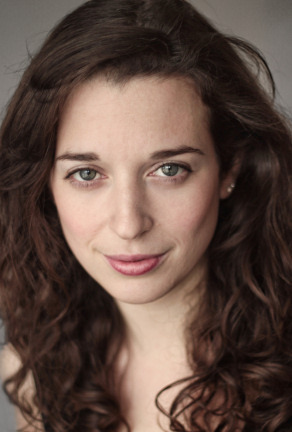 An expert in molecular biology and genetics, with a Double First in Natural Sciences from Queens' College Cambridge and a PhD in cancer research, Emily also trained and worked as an actress and now combines her skills as a science broadcaster, educator and writer. Emily explains science for a wide range of TV and radio programmes, teaches maths and science, and has given talks in dozens of schools and universities, and at public events such as The Hay Festival, The Science Museum, Cheltenham Science Festival, The Royal Society, The British Science Festival, The Emirates Festival of Literature and The Women of the World Festival. She is best known as a resident science expert on ITV’s The Alan Titchmarsh Show, Discovery Channel’s How Do They Do It? and Sky1's fact-based celebrity panel-show Duck Quacks Don't Echo hosted by Lee Mack, for her appearances on BBC2’s Second Opinion and many news programmes, and for her fun science YouTube videos for BBC Britlab and The Royal Institution. Emily loves making science exciting and accessible by explaining complex concepts in a fun and engaging way, bringing simplicity and clarity to others. Her first fun science book, DK findout Science! is now available. Emily is also a passionate advocate for gender equality and diversity in science and has come under considerable attack on social media for speaking out against sexism in science. In response she gave a TEDx talk at UCL Why Science Needs People Who Cry on the value of emotions in science, and she spoke about her experiences in a Story Collider podcast. She has since been interviewed in The Sunday Times, The Times, The Guardian, and The Sun’s Fabulous Magazine, she has spoken on BBC Radio 4’s Woman’s Hour about the politics of crying in the workplace and she has been a special guest on an episode of The Guilty Feminist podcast on crying. Emily is also an experienced communication and media skills trainer, and has run workshops and masterclasses for many universities, organisations and institutions such as The Crick Institute, The Royal Society, The Royal Society of Biology and Famelab International. She is also an experienced event host and panel chair. In 2013, Emily was selected as one of 30 women from more than 2000 applicants to take part in the first BBC Expert Women scheme, which launched her broadcasting career. Through her work as a science communicator, and by sharing her personal experiences as a woman in STEM, Emily hopes to engage more people with the fascinating world of science, to change the perception of what it is to be a scientist, and to inspire more people, especially girls, to study science.